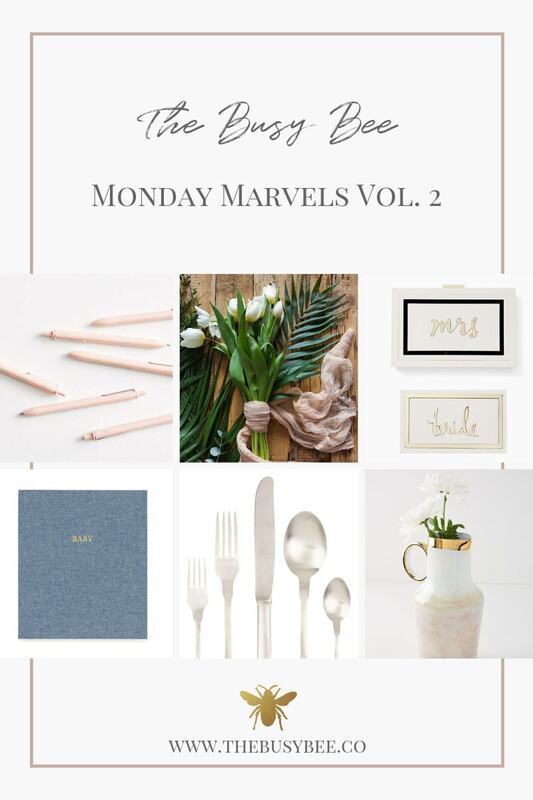 A couple weeks ago, we started our Monday Marvels series, and we’re so excited to bring you Volume 2 this week! Our goal with this series is to share with you all the little things we are loving right now as they pertain to different seasons of life. Are you currently planning your wedding? We’ve gathered an array of finds that will help you plan for your big day and add some beauty. Are you building a business? 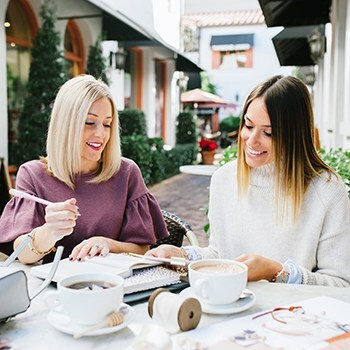 We can’t wait to share what items help us strategize, stay organized and keep in line with our branding in order to keep growing. Are you expecting a little one? 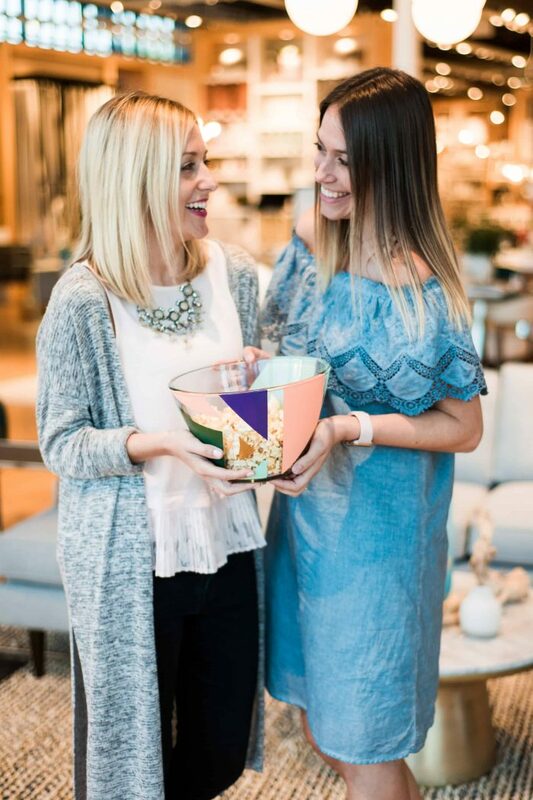 We’re currently expecting two littles only two days apart and want to share how we’re planning for their sweet arrivals and our journey through motherhood. 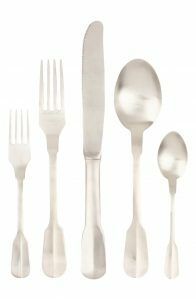 Or maybe you’re planning a little gathering or hosting friends for a dinner party? Friend, we’ve got you covered! Whatever it may be, just know this. We’re walking right there beside you. We all lead busy lives and our hope is to inspire you, no matter what path you’re walking, to live with more purpose and less effort. To have and to hold. This week is all about what you’ll be carrying on your special day. A small clutch is perfect for toting your lipstick and tissues and whatever else you may want to keep handy. 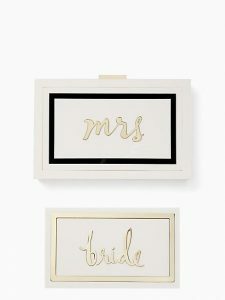 Plus, it has an interchangeable face plate for after the big day to showcase your new title – MRS! 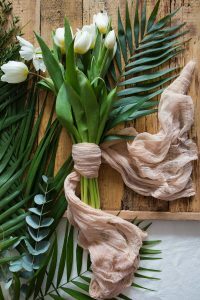 Add some romance to your bridal bouquet with soft texture provided by an organically flowing cheesecloth wrap. Then, display it in your home as decor for a sweet reminder of all your wedding day memories. The tools you use to carry out your creative work can serve multiple purpose when it comes to operating your business. Writing utensils are essential when it comes to managing your day-to-day. Choose pens and pencils in your brand colors that will leave a lasting impression on your clients. They may not make the connection consciously, but they will begin to associate certain colors with your business/brand if they repeatedly see them when they are working with you. 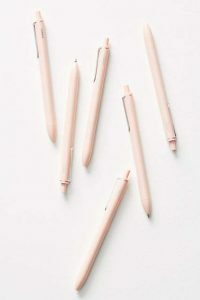 Poppin is one of our favorite brands that provides an assorted color of minimalistic office supplies to do just that! 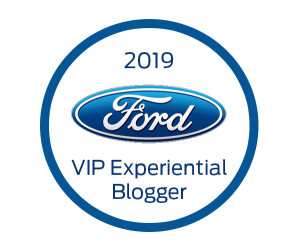 If you’re not familiar with their products, we highly recommend you check them out. 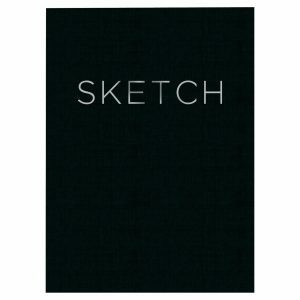 One of our favorite tools is a sketch book that allows us to illustrate our ideas in rough sketches. It’s helps us visualize our designs better and allows us to take notes and edits before making final decisions. As we prepare for babies, we’ve been preparing nurseries, registering for necessities and of course, finding all the meaningful keepsakes. 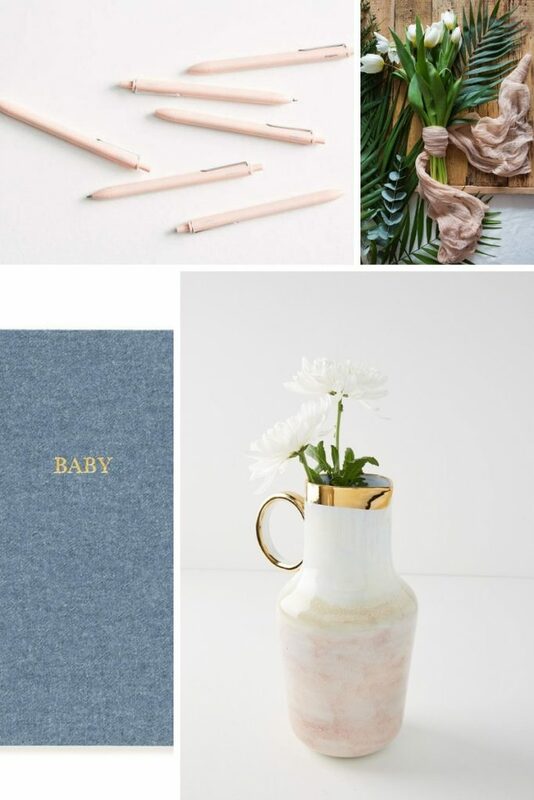 We are so in love with these baby books from Sugar Paper Los Angeles that comes in Chambray and Pale Pink. 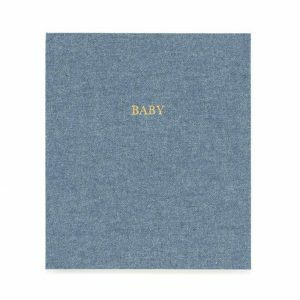 The book includes thoughtful details including envelopes for loose keepsakes, a place for “A letter to my baby”, month to month milestones, “The way we told everyone you were coming” and “Things I don’t want to forget”. Plus, they will look so beautiful displayed in their nurseries! We’re not going to lie, but we’ve both been living in leggings lately. 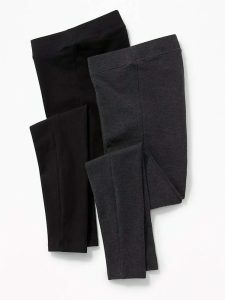 So, when we found these low panel maternity leggings from Old Navy, we just had to give them a try. Let’s just say, we’ve been wearing them on repeat, and you cannot beat the price! They say the kitchen is the heart of the home, and we say the table is the heart of a gathering. There’s nothing better than having your loved ones gathered around the table sharing stories and laughs while enjoying good eats and sweet treats. 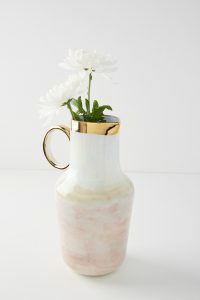 It’s no secret we are both big fans of keeping a beautiful pitcher on hand when it comes to entertaining. Our Mimi taught us at an early age to always have one full of water at an arm’s reach, so guests don’t have to get up from the table to refill their glasses. We also love them for using as decorative centerpieces in between gatherings. And there you have it friends. Volume 2 of our Monday Marvels round up, including all the pieces we’re loving right now. 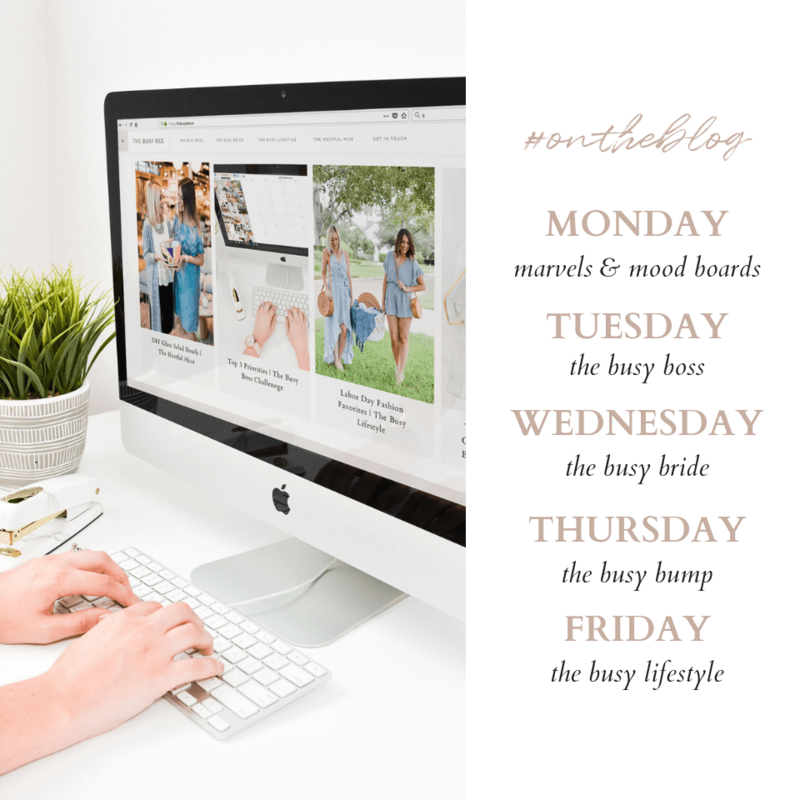 If you give any of them a try, remember to use #TheBusyLifestyle, so we can see how you’re enjoying them.